BCS Installations Inc. in Jackson, NJ installs, services, and monitors both residential and commercial security systems. BCS Installations Inc. installs, services, and monitors both residential and commercial security systems. We take the time to custom-design a security system dependent upon your specific wants and needs. We will answer questions and give recommendations about security devices you may never have thought of before. Already have a system installed? No Problem! We can take over the monitoring of any existing system with competitive pricing! 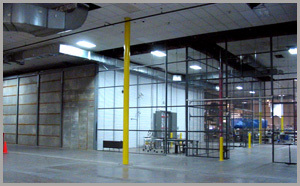 BCS Installations Inc. has extensive experience in high security installations such as DEA Drug Cages and Vaults requiring audio, vibration, optical and other detection devices. We know phone lines are quickly becoming a thing of the past, but did you know that if you get rid of your phone line your security system may not be able to communicate with the monitoring station? Here at BCS Installations Inc., we have the solution to keep your system active without the need of a phone line! Our cellular connection devices can take the place of a phone line if you do not have one or can act as a backup if you use a digital line. Cellular connection devices are great during power outages or potential phone line cuts because it keeps your system running when you may need it most. We Have Access to the Following Manufacturers and Others not Shown.